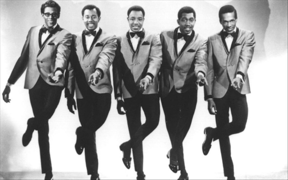 Add another big-name act to the litigation list: The Temptations are suing their label, Universal Music Group (UMG), for millions in back royalties from digital downloads and ringtones on the behalf of themselves and an impressive roster of UMG acts under similar contracts. Also included in the suit are Guns ‘N Roses, Nirvana, KISS, The Police, Eric Clapton, and The Who. The complaint is just the latest in a growing number of similar actions by so-called “legacy” artists — such as Sister Sledge — against record labels. The disagreement stems from labels’ assertion that digital downloads are “sales” rather than “licenses.” In 2010, UMG lost a similar, and likely decisive, digital royalties suit brought by Eminem. Artists obviously want what they deem fair, but labels surely aren’t interested in giving up what they’ve long taken for granted. Let’s take a look the factors that are shaping the situation. Between 1976 and 2001, before the rise of digital music downloading services, it was a common industry practice for music contracts to provide a much higher percentage of royalties for licenses over physical sales. Under a 1993 agreement (similar to others made in the time period) UMG is to pay the Temptations 50 percent of licensing revenue, but only 14-16 percent of sales revenue, after “packaging” deductions. By calling digital downloads “sales,” UMG is trying to pay artists under similar contracts the lowest possible sum, by both the lower-end royalty percentage and packaging costs (anyone remember breakage?). The difference in royalties that can prove very large, indeed. It seems perfectly logical that downloads are not physical sales. None other than digital download pioneer Steve Jobs called them licenses in a 2007 piece, “Thoughts on Music.” Most importantly, the 9th Circuit Court of Appeals considered digital downloads to be licenses too, deciding for Eminem in F.B.T. v. Aftermath (the case referenced above). As the Supreme Court has denied to take things further, the 9th Circuit’s word is final, or at the very least binding on the California federal district court that will hear The Temptations case. Following the Aftermath case, UMG tried to downplay their loss, attributing it as specific to Eminem’s contract, insisting that “the ruling has no bearing on any other recording agreement and does not create any legal precedent.” UMG is correct inasmuch as the result is unlikely to have any bearing on younger and newer artists or artists whose contracts have recently been renegotiated, as newer contracts would likely directly deal with digital music sales. However, contrary to UMG’s insistence, the result is likely to determine the majority of pending suits by so-called “legacy” artists whose contracts predate digital music. Unlike UMG seems to suggest the 9th Circuit’s reasoning in Aftermath was not strictly limited to the language of Eminem’s contract, but also examined the Copyright Act’s use of “sale” and “license” to determine that digital downloads were not the type of sales contemplated by the Act. Earlier this year, likely motivated by the result of Aftermath, Sony-BMG settled after a five year battle over the issue with a class of artists including, the Allman Brothers and Cheap Trick, paying out $8 million and giving a 3 percent royalty bump for digital downloads to all Sony artists. With digital music sales accounting for somewhere around 29 percent of record label revenues, more of these suits are likely to continue springing up until the labels start properly paying out royalties and/or renegotiating contracts with legacy artists to provide for specific provisions on digital music. As for pending suits, unless specific contractual language seems to clearly mark digital downloads a sale, labels should take a note from Sony-BMG and start settling or be ready to face paying out attorneys’ fees and still unknown sums to compensate for their past short-changing.